Being a client-centric firm, we ensure safe and time-bound deliveries of consignments at the desired place. Owing to the immense and well-maintained storage space, we efficiently keep the wide assortment of products in safe place to ensure complete safety. Our automated storage space helps us in maintaining the quality standards as well. 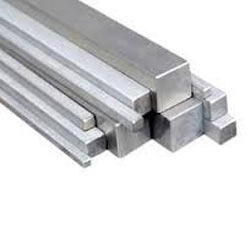 Mild Steel Bright Square Bars have a smooth and galvanized surface with high precision and a long service life.